The options are few but they’ve got entre, main & dessert with veggie & gluten-free friendly dishes. Having so few items on the menu means that I tasted every dish that day. You would think that meant I have no reason to return anytime soon BUT, the menu changes seasonally and sometimes daily plus it’s so good, there’s always something I’d go back for. 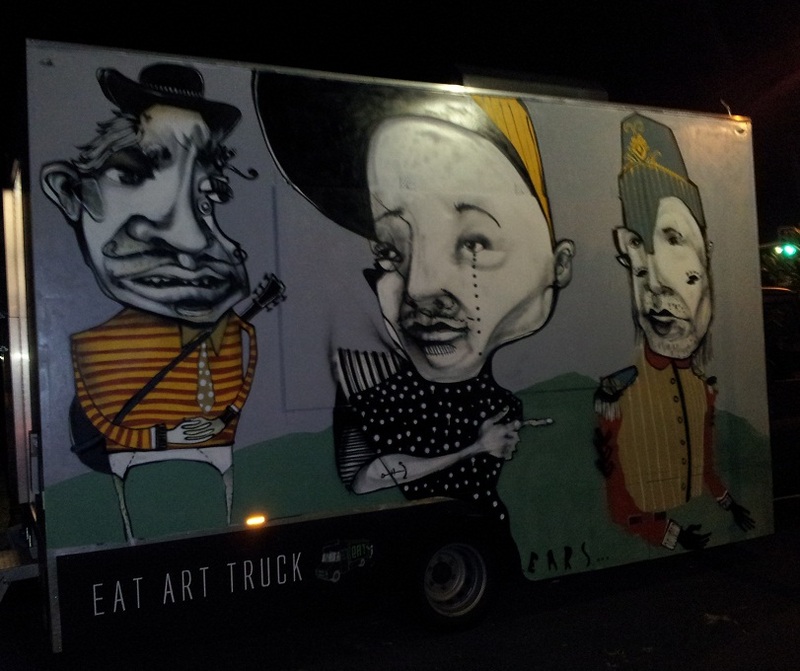 Why is it called Eat Art Truck? Art is painted by local artists on a periodical basis and auctioned for charity. They will actually post events on facebook/twitter of the next painting session if you wanted a gander. Anywho, the food. You can’t see it under the jumble, but there are lovely, big chunks of cooked beetroot under there. This was so wonderful, a contrast of textures and tastes. Very light on dressing but it didn’t need any. 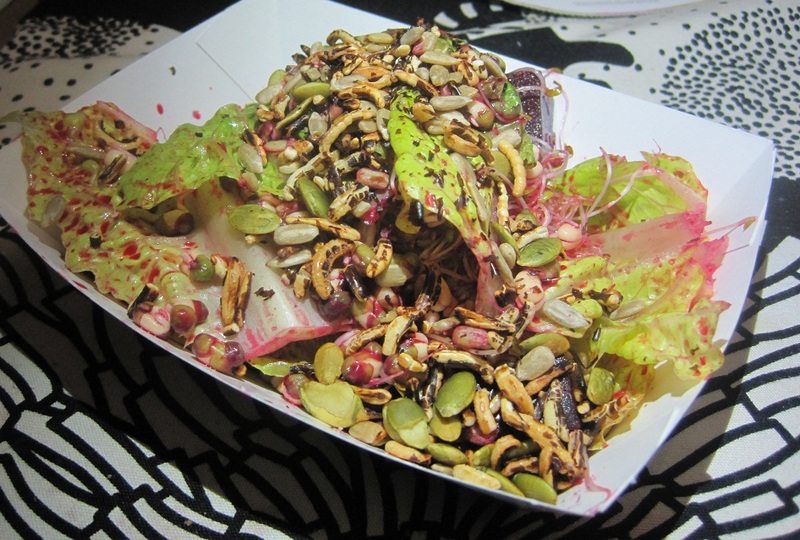 I think my favourite bit was the puffed wild rice. OMG – so good. The shichimi pepper flavour wasn’t really spicy and the chicken was so moist and tender. I wouldn’t have minded a bit more heat on from the pepper but that’s my personal preference. I’m not a tofu fan but I wanted to try this anyway. What is ssam? 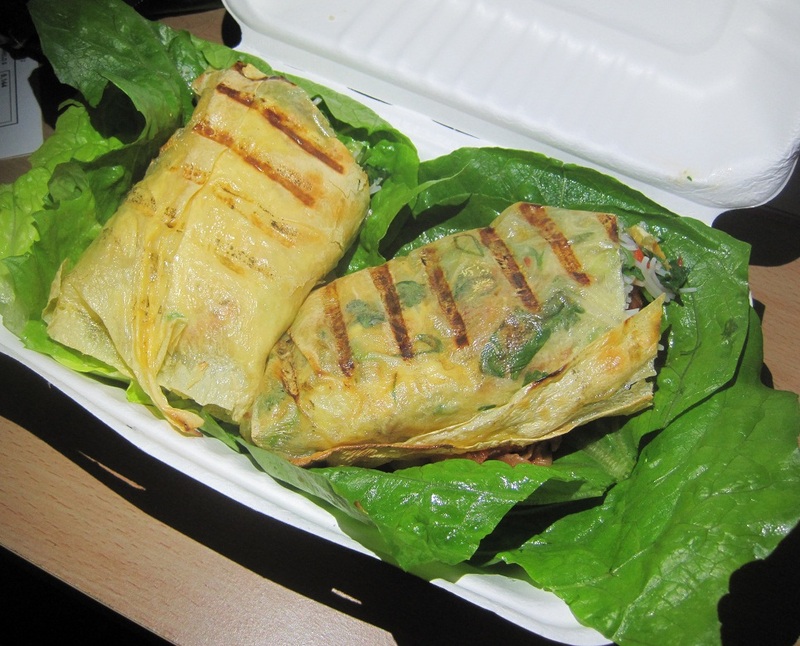 Ssam is a Korean style dish and it normally involves lettuce and the wrapping of it. Little bit spicy but nothing most people won’t be able to handle fairly easily. It was delicious (minus the tofu ;)). The texture of the crunchy noodle added some oomph to the dish but it’s a bit messy to eat – especially if you were by the road side. Now you may be thinking when you see the menu of tofu & spatchcock ssam that they’d be the same dish with different protein. Not so in this case. There are of course similarities but they’re still distinct enough to try both. I actually really enjoyed this – again a cold dish but with oodles of flavour and perfectly cooked spatchcock – not the least bit dry and very tasty. 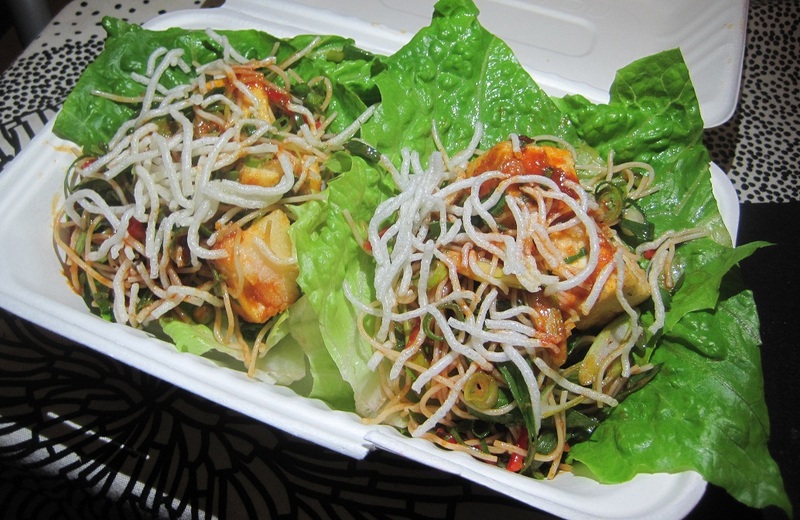 Inside the bean curd wrap was vermicelli, crispy noodles, kimchi and a variety of herbs. 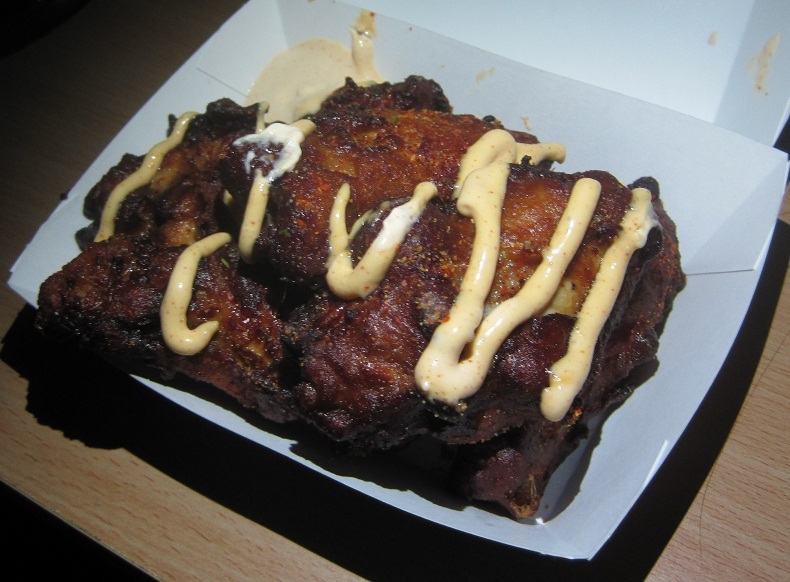 This would be (by the slightest margin), my favourite dish of Eat Art Truck’s offerings. But by the absolute slimmest of margin. This actually surprised me as I’m normally a hot food person & am a fervent believer of the philosophy by the renowned Homer that ‘you don’t make friends with salad’. I actually feel this is a very good value dish considering you pay the same price for spatchcock as for tofu. That did strike me as a bit odd though. A must try to get all the subtle flavours of herbs, perfectly cooked poultry, interesting texture of the bean curd wrap and the hit of the kim chi. The balance of flavours was what distinguished this from other dishes. The pièce de résistance of Eat Art Truck’s menu according to many. I did thoroughly enjoy it. My goodness it was good. In fact, I brought leftovers to work that left my workmates sallivating including one that kept commenting enviously about just how good it smelt (not kidding, that did happen). Rich, succulent pork that fell apart and a sauce to die for. Beautiful on a cold, winter’s day – I’ll definitely go back for more. 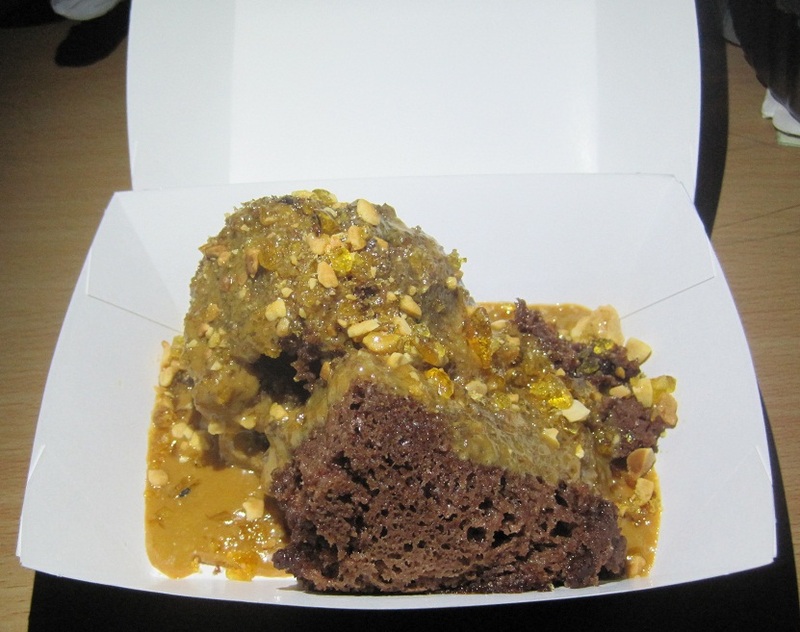 This wasn’t the best looking dessert (my housemate described it as looking like elephant poo – how she knew what elephant poo looks like makes me wonder). Having come back from South America recently, I’ve developed an affinity for dulce de leche so I wouldn’t be turning down this dessert. This was a bit of a letdown in terms of not being able to taste the chocolate – letdown being relative as everything else was so good. The dulce de leche & salted peanuts pretty much overwhelmed it and, even though they were tasty of themselves, when someone says chocolate, I expect to taste some chocolate. They’ve also got a few softdrinks and what not available as well as their own juice. 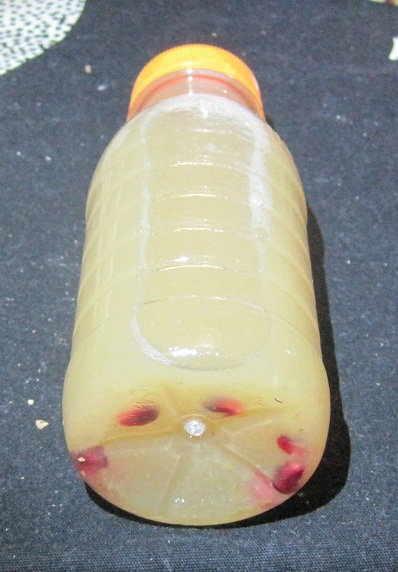 I’m not a fan of cinnamon in sweet things so that was a bit of a turnoff for me but you can tell that the juice was made from real, tasty fruit. It was apple-heavy (or pomegranate-light, your pick), and a bit more balance would’ve been nice. But for me, all I could focus on was how much I hate cinnamon – I would instead leave it up to you to judge if you like it as I’d be a bit biased. All in all, I’d definitely chase the Eat Art Truck again and will try and make it to a live painting installation at some point. Roving around the streets of Sydney – Always make sure you check twitter/facebook before going as sometimes their locations will change without notice. This entry was posted on August 6, 2012 at 7:55 pm and is filed under 2 - Loveable :), American, Asian (East), Budget Bite (<$15), Cuisine, Dinner, Japanese, Korean, Lunch, Meal Type, Price, Restaurants, Sydney with tags food blog, restaurant, review, sydney. You can follow any responses to this entry through the RSS 2.0 feed. You can leave a response, or trackback from your own site. Hi there, with one page and account, you can find out all the news, reviews and locations of all of the food Trucks! 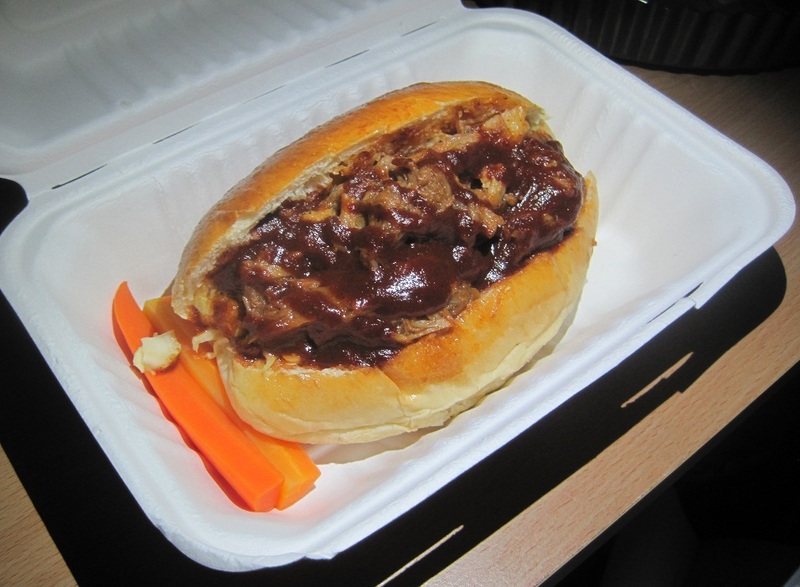 https://www.facebook.com/pages/Sydney-Food-Trucks/258166624256365 and in Twitter: @sydneyfoodtruck. Stuart’s menu, influenced by his time in some of Australia’s best kitchens as well as time spent living in Japan, will push the boundaries of street food with regularly changing dishes depending on season, the best ingredients available and influences from the artists who paint the truck. His dishes will challenge the limits and demonstrate that food truck fare can be innovative and impressive.